Event space to host workshops, seminars, etc. Our coworking and event spaces are strategically located within Surabaya CBD area, equipped with Internet, document printer-copier-scanner, and pantry for refreshment. Nearby, there are plenty of cafes, restaurants, warungs, hotels, etc. Not to mention, you can easily access our library with more than 7,000 quality references, meeting room, outdoor and balcony area to unwind and meet people. We also host various events, with local organic farmers’ market every first Sunday of the month. Dengan lokasi strategis tapi tenang di pusat CBD Surabaya, ruang kerja dan acara kami dilengkapi dengan Internet, printer-fotokopi-scanner, dan persediaan kopi, teh, dan minuman. Di sekitar C2O ada banyak tempat makan, penginapan, dsb. 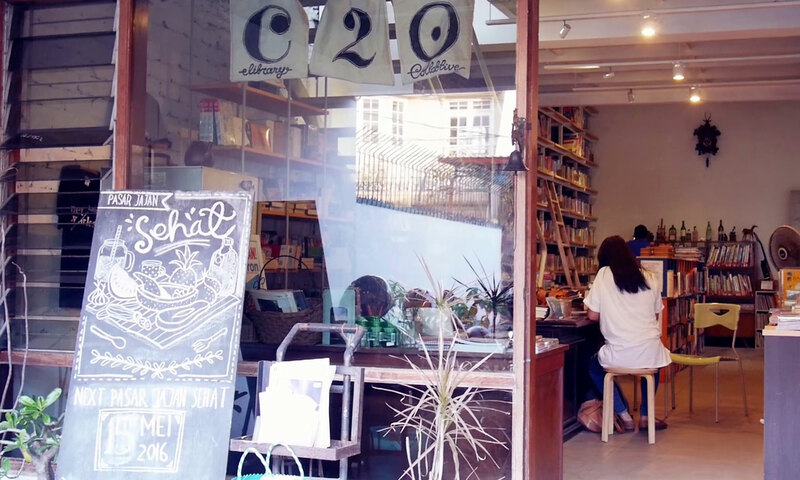 Bekerja di C2O, Anda juga dapat dengan mudah mengakses lebih dari 7,000 koleksi buku C2O, ruang pertemuan, ruang outdoor dan balkon untuk berehat dan bertemu orang-orang dari berbagai latar belakang. Ada juga berbagai acara seperti workshop, diskusi, pemutaran film, dan Pasar Sehat di hari Minggu pertama tiap bulan. Note: Discount 10% for any 5 passes, 20% for 10 passes. Prices are in thousands rupiah. If you want to organise public event such as public talk, seminar, workshop, film screening, book discussion, etc., open to public (with or without tickets) in C2O, then fill this online form. For private functions (meeting, private party) with fixed list of attendees, please see the rate above for meeting/group booking and fill this form.